John Yorke‘s INTO THE WOODS, not to be confused with Stephen Sondheim’s well known musical of the same title, is a very British book. 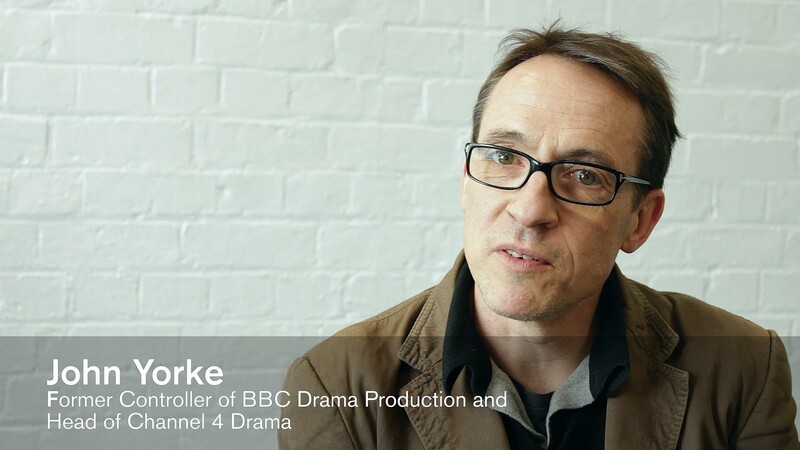 Many examples referred to in it, come from British television, no wonder, as Yorke is an expert TV producer from the UK. It is not a screenwriting manual, it’s a book about how and why we tell stories. The importance of storytelling. This is the key idea around which the whole book grows: “Storytelling is an indispensable human preoccupation, as important to us all -almost- as breathing”. The book refers to Christopher Vogler’s work “The Hero’s Journey” and Joseph Campbell’s “Monomyth”: “Campbell argued that within all the traditional stories of ancient cultures (…) there could be found one underlying identical pattern”. The power of structure. “In Into the Woods I attempt to explore and unfold the extraordinary beauty of (…) structure”. “All stories are forged from the same template, writers simply don’t have any choice as to the structure they use and (…) the laws of physics, of logic and of form dictate they must all follow the very same path”. But for Yorke structure is not a prison but a springboard: “(..) Abstract Impressionists, Cubists, Surrealist and Futurist – all were masters of figurative painting before they shattered the form. They had to know their restrictions before they could transcend them”. The book details the origins and evolution of structure through time. The importance of change: “Learning is central to every three-dimensional story. That is how the characters change”. I like the way Yorke develops this, but I must confess that the roadmaps and other diagrams in this section instead of clarifying I find confusing. To me, here the author tries too much to find a formula, when the concepts that he develops are powerful enough to not need one. The fractal theory. 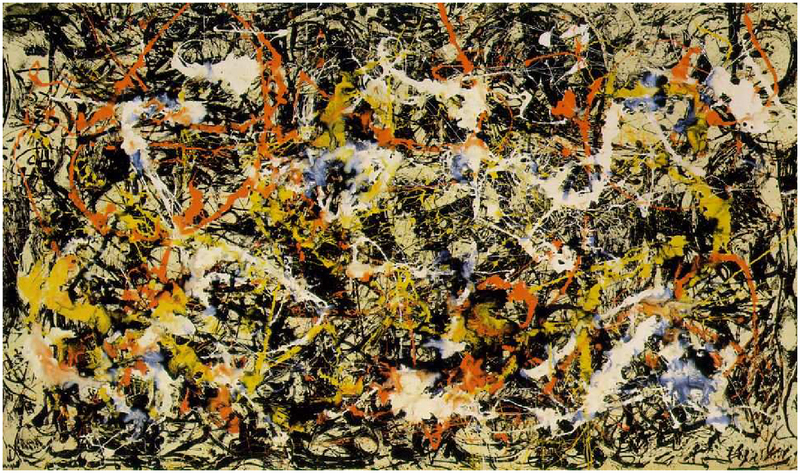 Jackson Pollock‘s paintings “are ‘fractal’: tiny sections of the work mimic the structure of the whole.” “And so it is with drama. Stories are built from acts, acts from scenes and scenes are built from even smaller units called beats. All these units are constructed in three parts: fractal versions of the three act whole”. Let me stop here one minute. Why is it that so many authors skip “Sequences” when dissecting the script organism? After the Act, the Sequence seems to me the most important unit, more powerful than a Scene. What defines a “Scene” is unity of place and time, what defines a “Sequence” is unity of narrative: a scene or a series of scenes that describe one dramatic event and one only. The attack on the Death Star in Star Wars is only one big sequence, constructed of dozens of scenes. The importance of theme: “Subject matter is a static given. Theme, on the other hand, is an active exploration of an idea, it’s a premise to be explored, it’s a question”. There’s a lot more in the book to look for: E.M. Forster and “what happens next”, ” jumping the shark”, “nuking de fridge”, “the worst point”… One of my favourites: “All television is storytelling” , so reality TV is storytelling too, just told by different means. I reached the same conclusion when I directed my first documentary: I found it essentially the same as fiction, sharing the same rules, roots and structure, even characters. If in doubt, watch the documentary Man on a Wire and then Robert Zemeckis’ film The Walk. If you want to complete an overview on Yorke’s book, check what The Independent, The Guardian and Moviemaker have to say, and even Yorke himself in The Huffington Post. This entry was posted in BOOKS on screenwriting, SCREENWRITING and tagged change, David Lodge, Fractal, Into the Woods, Jackson Pollock, John Yorke, Midpoint, Raiders of the Lost Ark, Syd Field, Symmetry, The Godfather. Bookmark the permalink.